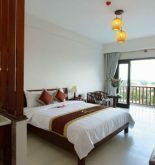 The Kiman Hoi An Hotel and Spa is located in Hai Ba Trung Street where has the luxurious facilities so it is very convenient for tourists in order to discover and visit the famous tourist destinations at the Hoi An old quarter. 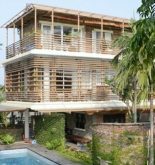 It is also a comfortable relaxing destination for both tourists and people who have assignment. It takes five minutes for you to come the old quarter by bicycle from hotel as well as 2 km to come An Bang beach, 3 km to come Cua Dai beach especially it just takes more than a hour for you to come the international airport or Da Nang station. 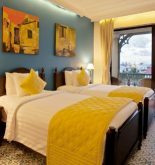 The three stars Kiman Hoi An Hotel has the luxurious and convenient equipment so it will bring tourist the most comfortable relaxing time. There are 40 modern and elegant rooms which are equipped full of air-conditioner, LCD television, tea and coffee, refrigerator even its large bathroom is designed separately inside attached the available hair-dryer. 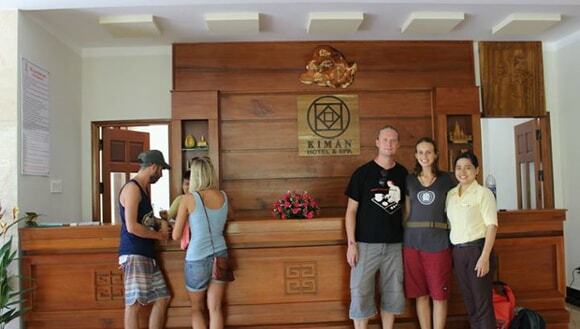 The Kiman Hoi An Hotel supports many services such as restaurant, spa and pool bar. There have some free services as wifi, pool or bike so that tourists can freely discover the old quarter. They can also enjoy the local specialities such as Cao Lau, Mi Hoanh Thanh, Mi Quang, Banh Vac at restaurant. The free breakfast is served from 6:30 AM – 10:00 AM. Spa in Kiman Hotel has the staves who are trained professionally so I am sure that the treatments in Hoi An will satisfy any tourist. These special treatments help you rejuvenate and balance body after the hard working days. Let you come spa for relaxing after a visiting and shopping day.